One location, unlimited experiences; this stunning regional South Australian city has been a secret for too long, don’t you think it is time to discover Mount Gambier? Perfectly placed halfway between Adelaide and Melbourne, Mount Gambier is a regional city that is fast gaining a permanent place on Australia’s must-see list. Basing yourself in Mount Gambier to explore the natural wonders and prehistoric lands of the surrounding region allows you to be both thoroughly entertained and totally relaxed. 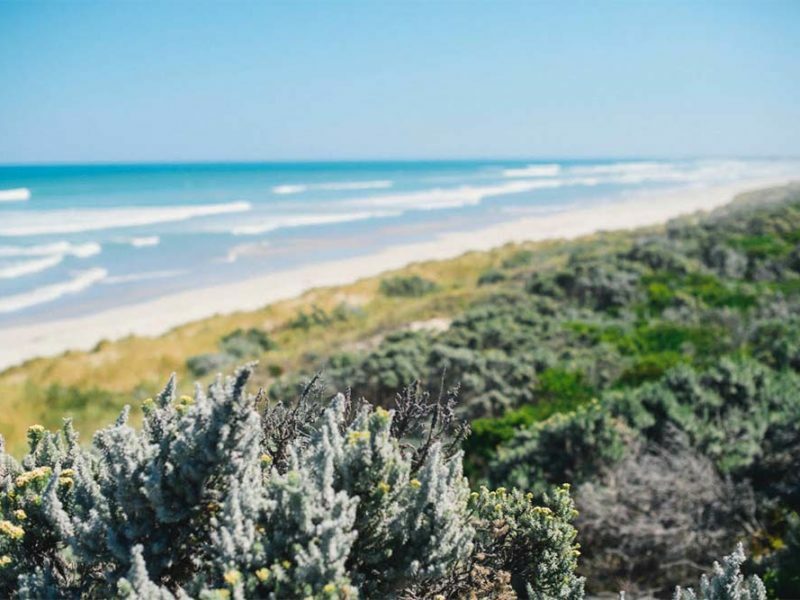 Here, you are only a short drive to the stunning Southern Ocean or the famous Coonawarra wine region – soul-feeding destinations worth lingering a little longer. This is a place where wildlife abounds. Native animals thrive here in this rich, rugged area between the ocean and the lush countryside, and you won’t need to go far to find emus, wombats, echidna and kangaroos. The famous Umpherston Sinkhole’s magnificent gardens are also home to birdlife, native bees and curious possums. Those who reminisce about childhood holidays to Mount Gambier’s renowned Blue Lake return with their own families to discover there is so much more to experience, coming away with a new appreciation of the natural beauty of this ancient landscape. The unique geography offers caves, sinkholes, mountains and lakes, all of which are easy to explore – on foot through the forest tracks, mountain biking on trails, 4×4 driving in dunes or via a slow drive through stunning countryside. Finish your day by immersing yourself in the region’s many food and wine options, or relax in some of the area’s welcoming accommodation. So, don’t forget to pack your camera and, above all, remember to take your time, enjoy every moment and seriously consider staying another day. Try out the fun new interactive bucket list on Discover Mount Gambier’s website. The website allows you to create a must-do list, and then collect badges as you tick them off. Share your images with others to win more badges. Head to discovermountgambier.com.au/bucket to create your adventure!